Answer:Proverbs 3:5-6is a familiar passage to many: “Trust in the LORD with all your heart; and lean not on your own understanding. In all your ways acknowledge him, and he shall direct your paths.” Verse 5 is a complementary pairof commands. We are told, positively, to trust the Lord and, negatively, not to trust our own understanding. Those two things are mutually exclusive. In other words, if we trust in the Lord, we cannot also depend upon our own ability to understand everything God is doing. First Corinthians 13:12says, “For now we see in a mirror dimly, but then face to face. Now I know in part; then I shall know fully, even as I have been fully known.” We only see part of the picture God is painting. If we are to truly trust Him, we have to let go of our pride, our programs, and our plans. Even the best-laid human plans cannot begin to approach the magnificent sagacity of God’s plan. “For the foolishness of God is wiser than human wisdom” (1 Corinthians 1:25). Most of us have a desperate desire to understand, but in so many areas we must acknowledge that we cannot understand. We must approve of God’s ways, even when we can’t comprehend them.Isaiah 55:8-9tells us why we often don’t understand what God is doing: “‘For my thoughts are not your thoughts, neither are your ways my ways,’ declares the Lord. ‘For as the heavens are higher than the earth, so are my ways higher than your ways and my thoughts than your thoughts. '” God sees the whole picture, while we only see our tiny corner of it. To trust in the Lord with all our heart means we can’t place our own right to understand above His right to direct our lives the way He sees fit. When we insist on God always making sense to our finite minds, we are setting ourselves up for spiritual trouble. Our limited understanding can easily lead us astray. Proverbs 16:25says, “There is a way that appears to be right, but in the end it leads to death.” When we choose to direct our lives according to what seems right tous, we often reap disaster (Judges 21:25). Every culture has tried to get God to approve of its definition of right and wrong, but God never changes and His standards never change (Numbers 23:19;James 1:17;Romans 11:29). Every person must make a decision whether to live his or her life according to personal preference or according to the unchanging Word of God. We often will not understand how God is causing “all things to work together for good” (Romans 8:28), but when we trust Him with all our hearts, we know that He is. He will never fail us (Psalm 119:142; Philippians 2:13). 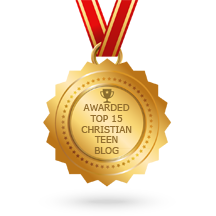 This entry was posted in A CLICK A BLESSING TODAY, CHRISTIAN LIFE AND THE WORD, CHRISTIAN TAGALOG BLOGS, SHARING STRUGGLES , Shaping Spiritual Solutions! and tagged Christianity, Pinoy, Proverbs, proverbs 3:5-6, Word. Bookmark the permalink. Amen! Can’t add anything else to that.